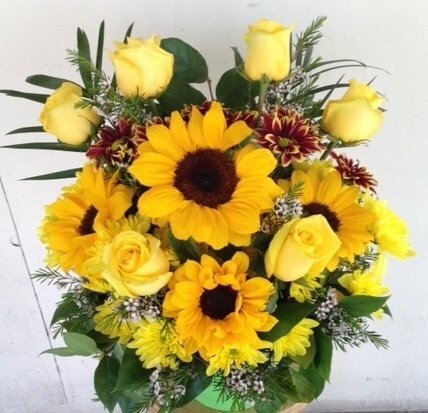 Yello Roses and Sun Flowers, accented with lush green. Bring the sunset home today! Premium bouquet includes 14 stems.